Coffee from your favourite cup, anywhere and anytime up to 6 hours after you pour it! Cheeki’s generously large 310-mL stainless steel cup still fits in your vehicle’s cup holders, giving you the caffeine you need to keep alert on longer journeys. 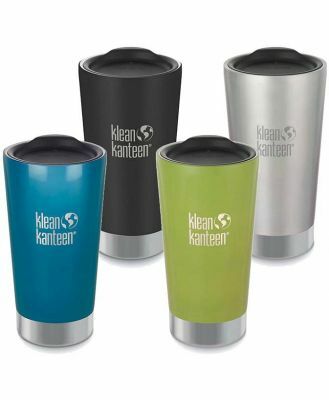 The double-walled vacuum insulation keeps the temperature right and the outside cool to the touch, and the BPA-free, dishwasher-safe flip-up lid keeps your coffee inside as you change lanes and round curves. The unlined premium 304 (18/8) steel cup is attractively coloured with nontoxic midnight-blue ink and will last for years.